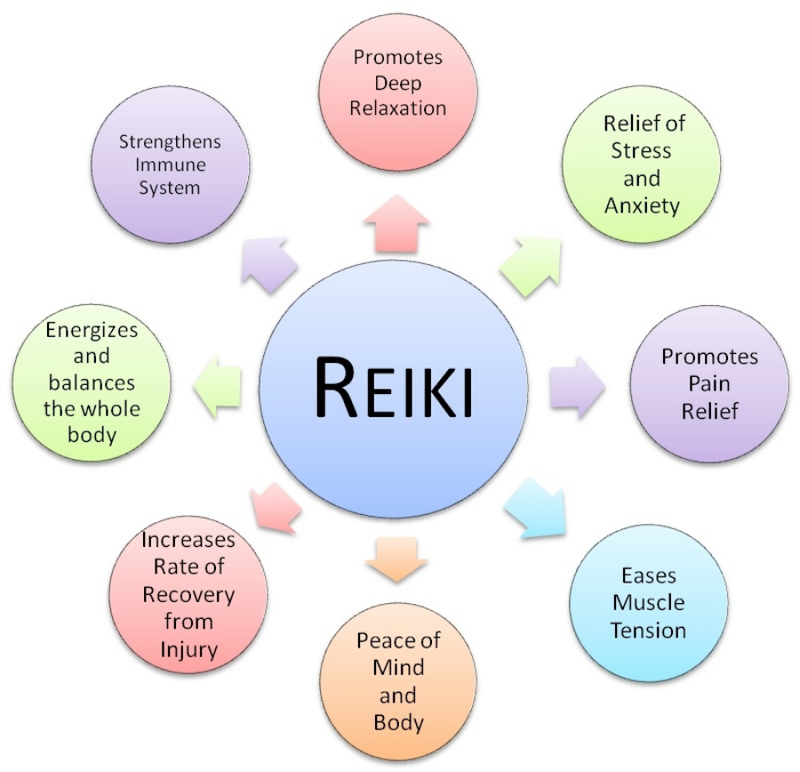 What Reiki can do for you. The laying of hands is used in Reiki therapy as in other spiritual healing. There is a difference though. In spiritual healing, a person with a strong energy field places his or her hands above a particular part of the recipient's body in order to release energy into it. The healer, in most forms of energy work is the one who is sending out the energy. In Reiki, however, the healer places the hands above and or on the recipient. It is the recipient that draws the energy as needed. The individual being healed has to take an active part in the healing process. The individual takes responsibility for his or her healing. Reiki—also called energy medicine—is an ancient hands-on healing practice which harnesses what believers call the Universal Life Force—the energy field that surrounds all beings, including humans. A Reiki session is normally very relaxing, people have stated they feel very light almost like floating or they claim to be drawn downward towards the earth as if being grounded. Some people have an emotional reaction during the session (or a delayed one hours later) if this does occur let the emotion play out, if you try to control it you will engage that blockage again. During a Reiki session you are dressed, normally laying on a table you can be covered with a blanket (some people get a little cool when having a session), Hands may be placed upon your body or not (normally depends on the client's wish) and the client may feel energy pass through them, a throbbing or a wave sensation, they may feel warmth or coolness in that area being worked. The energy moves and builds up, maintains, then slowly goes a way this is the indication for the practitioner to move to the next area Each person is unique in what they experience so no two sessions are the same. The ideals listed below are both guidelines for living a gracious life and virtues worthy of practice for their inherent value.